If clients don't reward improved processes with more business, then why bother at all? Peter Aprile and Natalie Worsfold interview Casey Flaherty, a former outside and inside counsel known for creating the Service Delivery Review, a tool that facilitates communication between law firms and clients. The interview focuses on Casey’s new book “Unless You Ask,” which helps law firms use conversations to improve their working relationships with clients. In the interview, Casey points out that building client-centric law firms is laudable but doesn't always offer an immediate return on investment. Casey Flaherty is a former outside and inside counsel who first rose to prominence when he created the Service Delivery Review (“SDR”) to change the way he communicated with his outside counsel. Instead of generic complaints about inefficiency and arbitrary reductions in invoices, Casey sought to use metrics and benchmarking to foster structured dialogue, drive continuous improvement, and deepen the integration between his law department and his outside counsel, reasoning that, with people and price in place, process and technology present the most levers to drive continuous improvement. 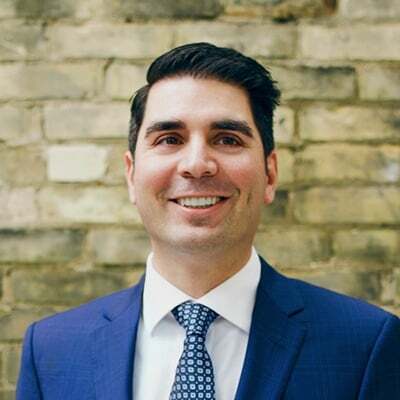 Casey brings the same premise to Procertas, where he provides clients with a variety of approaches to redirect resources towards higher-value activities. Casey believes in the disciplined pursuit of better and appreciates the aggregate impact of marginal improvements. 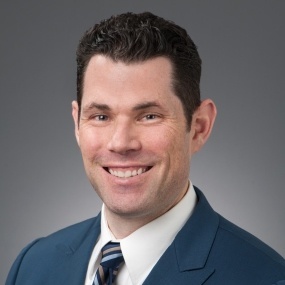 In addition to many writing and speaking engagements, Casey has a monthly legal technology column in the ACC Docket and co-authors a column on legal operations with Connie Brenton of NetApp for Inside Counsel. 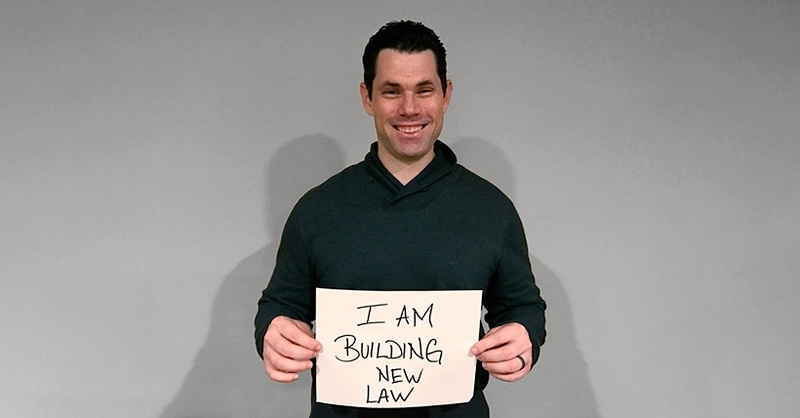 Peter Aprile: [00:13] Hi, and welcome to "Building NewLaw," Canada's first and only CPD‑accredited podcast. It's hosted by me, Peter Aprile, and my colleague, Natalie Worsfold. Peter: [00:24] We hope that the podcast connects the NewLaw community and helps us all learn more about the approaches that are changing the way that we practice law. Peter: [00:41] Today we're speaking with Casey Flaherty. Casey worked in Big Law, and he also worked as inside counsel at Kia, and now, he works as a consultant. Natalie: [01:16] Casey is a prolific writer and speaker. He's working to help clients and law firms have data‑driven conversations to improve the delivery of legal services. We wanted to talk to Casey specifically about his guidebook, which is called, "Unless You Ask," and about his legal technology assessments. Peter: [01:32] Unless You Ask is a practical road map that provides clients with questions that can and should ask their legal service providers. The questions aim to start a discourse. They aim to help clients and law firms have better conversations leading to win‑win scenarios for both the law firm as well as the client. Natalie: [01:49] Unless You Ask is full of great questions and asks law firms to do things like outline knowledge management projects that the firm is currently working on and any projects they've completed in the last three years that would improve the firm's delivery of services to their clients, detail the firm's quality control and assurance protocols, list technology tools that the firm uses to track and analyze data, and supply things like charts of staff that are working on their matters and what technology training the staff has completed. [02:15] As you can see, Casey wants clients and law firms to achieve a high standard, but we'll let Casey tell you more about the guide and how the relationship between client and law firm is key to creating win‑win relationships. Here's our interview with Casey. Peter: [02:30] Casey, thanks for joining us. You've published a guidebook called, Unless You Ask ‑‑ A Guide for Law Departments to Get More from External Relationships. Who is the guidebook targeted at? Casey Flaherty: [02:43] The guidebook is targeted at in‑house counsel. It's about how to have data‑driven conversations with their external providers, primarily law firms, but also managed service providers and vendors. It's not just a guide. It's a reference. [03:00] And so, it's for in‑house counsel to also send to their outside counsel so that they can be on the same page, sometimes literally. Natalie: [03:09] What are you trying to achieve with the book? Casey: [03:11] I want to change the nature of conversations between inside and outside counsel. We tend to have nebulous conversations about things like efficiency, productivity, etc. We don't get into concrete conversations that actually change behavior. Rather, our nebulous conversations tend to then fall back to discounts, which doesn't do anything to modify behavior. Peter: [03:36] And you saw that in the Big Law experience that you've had previous to becoming in‑house counsel, correct? Casey: [03:42] I saw that in Big Law and I saw that as in‑house counsel and I see it now as a consultant. Peter: [03:48] You mentioned the concept of discounts. That's kind of what law firms were offering to solve this deficiency issue. Is that correct? Casey: [03:57] It's also what clients were asking for. This is a two‑sided problem. I don't come from the law departments good, law firms bad school of thought. Both have their issues and both are perpetuating the status quo. [04:10] In fact, it's a buyer's market. It's not that clients are more culpable but they certainly have more power to change the way things are. Peter: [04:19] My question with that is is if the client has more power in that relationship and if the law firms were offering discounts to correct any more systemic work production issues why aren't the discounts, in and of themselves, sufficient from the client perspective? Casey: [04:39] First of all, most clients who are getting discounts aren't actually getting discounts. What they think they're getting is something lower than the published rate but the published rate is different than standard rate. Where 95 percent of clients believe they're getting discounts only 50 percent are and those 50 percent are getting much smaller discounts than they think. [04:58] But even leaving that aside, the fact of the matter is that rate is a much smaller piece of the equation than hours. Rates tend to differ by percentage points ‑‑ 10 percent, 15 percent, 20 percent. Hours tend to differ by orders of magnitude. [05:19] To get nerdy about it, there's something called the Cobb‑Douglas production function, which is simply capital times labor equals output. And we do almost everything through the labor side of it, which is we throw more bodies at the problem and as the world becomes more complex, and complexity compounds the demand for the lawyer hours increases exponentially. Therefore, slight reductions in rates aren't going to do it. [05:48] By the way, rates haven't been going down. Rates go up, discounts go up, and I've actually shown this. [05:57] You can play that game for a very long time. Most clients, when they come to the annual rate negotiations, negotiating down the size of the increase. Natalie: [06:07] If discounts aren't going to modify behavior, what is there in your book that you're suggesting will do that? Casey: [06:13] Conversations. At the end of the day, it's about looking at how services are being delivered, how expertise is being leveraged through process and technology. It's about thinking in systems and approaching the delivery of legal services from a systems perspective. Law firms have a hard time doing that on their own because they don't know whether or not clients are going to buy it and clients have a hard time doing it on their own, because there are limits to the in‑sourcing model. [06:45] So eventually you have multiple systems that need to be integrated. That means conversation. Peter: [06:51] Can you explain what you meant when you said, "Law firms aren't sure whether their clients would buy it, and as such are hesitant to implement these types of processes and procedures"? Casey: [07:01] The easiest example of this is the move to AFAs. Now, clients have talked a long time about alternatives to the billable hour. That's a fantastic road to go down, but you hear firm after firm after firm who says that they proposed an AFA arrangement to their clients and the clients said, "No, just give us a deeper discount off your billable rates," because that's what clients are used to. [07:27] As long as you're in the billable hour, the incentives to change aren't really there unless clients are going to give you more business or make your existing business more profitable, which even under the billable hour regime could be higher realization. [07:42] So, if you say, "OK, we're going to invest in legal project management and it's going to lower the cost to our clients by 10 percent on a per‑unit basis," why are we making the investment and why are we reducing our revenue by 10 percent? [07:57] Now, client service is a laudable goal, but is this client then going to give us more business, or is this client going to make it so this business is more profitable? Or are they going to ask for the same write‑downs, write‑offs, and discounts, even though we have completely changed the way that we're delivering legal services to them? [08:16] It's hard for the law firms to make a business case when client don't seem all that interested. Natalie: [08:24] So your book has essentially an educational component. It's bringing both sides to the table with a little bit more information about everything. Casey: [08:30] I provide real concrete questions that client can ask and law firms can answer so that they can have data‑driven conversations in a variety of areas ‑‑ from knowledge management, to document automation technology training ‑‑ to really start to understand how legal services are being delivered, how process and technology are being deployed to leverage expertise. [08:56] Those conversations should be the beginning, not the end, of attention to these issues. There should be sustained tension over time. It doesn't have to be constant but sustained, where there are continuous improvement initiatives to make the firms better and better and better. [09:14] These should be win/win initiatives. The client's cost should go down and the firm's profits should go up. Peter: [09:21] So this is really an education piece for both parties, in particular in‑house counsel. At the very least it nudges them to say, "Look, this is what's possible and this is the questions that you should be asking." [09:31] As you said, you provide very specific questions to guide in‑house counsel or the client through some of the areas that you think law firms can improve upon. Is that fair? Casey: [09:41] Yes, although I believe that it's educational but it is first and foremost practical. You can literally send it to your outside counsel and say, "We want to talk about this," and there will be a guide to what you're going to talk about. [09:56] Here is question one that you can ask. Here's question two that you can ask. It's a menu. You certainly don't have to do it all. [10:03] You can pick from it, but when you come to the end you're not going to be confused about what to do next. Natalie: [10:11] I was really impressed with the level of detail that you have in the questions. They are not easy questions to answer. I doubt very many firms would actually be able to, in all honesty. [10:20] Have you had a lot of people who have successfully implemented this? Casey: [10:23] Oh, no. Not at all. Casey: [10:25] It's going to be a long time before that's true. So, the progression that I strongly recommend is you ask your firms for answers. They'll not be able to answer satisfactorily to most of the questions. [10:41] Then, you pick a priority area to start a continuous improvement initiative. You pick knowledge management, but not just the general area of knowledge management. You pick a particular thing that the firm should do, whether it's a case repository, or a discovery response repository, or what have you. [11:00] And they start on that initiative and you give it a time‑line, whatever seems appropriate given the scope and scale. You embed metrics into it, "OK, we're going to measure how much material is put into it, how frequently it's updated, how frequently it's accessed, and what happens on a per‑unit basis to the matters it supports." "[11:21] Are costs actually going down? Are realizations going up?" Now you have a whole host of metrics that you're looking at and ‑‑ at a certain point ‑‑ you will get that particular initiative to maturity. [11:33] Then you move on to another continuous improvement initiative. The same kind of idea with scope and scale and metrics embedded in it. [11:41] You keep doing that. So, this isn't for just any firm you use. This is your main, primary providers. [11:49] You're already in a long‑term relationship with them. Your switching costs are already high. You might as well make the best of it. [11:59] It's about building value within existing relationships and that starts with data‑driven dialogue. You will find firms who excel in certain areas. [12:12] That's a best practice that you propagate throughout your legal value chain. You say, "We really like this. Where else would it work with our other firms? Where else could it deliver value to us?" [12:23] You take your role as steward over the entire value chain very seriously and you spread best practices when you find really good practices, but most of the time it's going to be about finding poor practices and making them better. Natalie: [12:37] It sounds like you're picturing the client as the driving force in this change. Casey: [12:41] I am. It's not that firms can't be proactive and I absolutely urge them to be, but I understand why they aren't if clients do not care. If you bring this to a client and they say, "That's great, but how about a larger discount," it's a waste of your time. If the client comes to you and says, "We want to do this," then you know there's ROI. [13:05] Law firms are businesses. I think they should be proactive. I think they have a fiduciary duty but clients ultimately have to get on board because otherwise they're not going to reward the firms that do this well. Natalie: [13:17] Do you think it's easier to educate the client in order to change what they're asking for than it is to educate a law firm as to how to go through this process internally? Casey: [13:28] Yes, because it's much easier to ask for change than to implement change. So, I do think clients are an easier lever to push. I believe that I make a compelling case that they should make such requests and the requests don't cost them anything other than some time and attention. [13:49] It also just so happens that I was in‑house counsel and that my relationship is with the ACC. So, it was natural to look at it from the client perspective. Peter: [13:59] It's amazing. I see so many law firm "annual reports" and client‑facing brochures that speak about client‑centric law firms. It's amazing that in that environment it would have to be the client that needs to go and push a law firm. [14:13] If these were truly client‑centric organizations, we all should be ahead of that curve and anticipating what the clients would want or what the clients should want and going to our clients and saying, "Look. This is what we've built. This is what we've done to serve you better." Casey: [14:25] The problem is and then the client yawns. And so, if you're client‑centric what you're doing is the Henry Ford. If I ask clients what they wanted I would have gotten them a faster horse. [14:36] You're saying that you should give clients what they need, not what they're asking for, but that's a really, really hard business case to make if they're not rewarding you for it. [14:47] Take two firms that are doing the same kind of work, the same compensation structure, the same baseline cost, but I'm going to invest to make my product 20 percent cheaper. The client still gives us the same share of business. They don't care that we're cheaper. They ask us for the same write downs, write offs, discounts as before. [15:10] I've just voluntarily given up money and there is no financial reward in it for me. The problem with incentives is they work. Law firms are not running charities. It doesn't help them when their clients do no care. Peter: [15:25] I understand what you're saying and I see the logic in that but my response to that would be, "Well, that's a marketing problem. And that's an education problem." If I was running one of these organizations they should be promoting voices like yours to help educate their clients or potential clients in terms of what they should want. [15:44] If you can get ahead of the curve in that, if you are one of three firms that are almost indistinguishable from one another but can make this argument, I would have though that that would be a really powerful argument that you would think would lead to greater engagement or greater market share. Casey: [16:01] There are absolutely firms that are following that strategy. There are firms who send my book to their client and say, "We want to do this." [16:09] Those firms exist. They are fantastic. I encourage more of them to exist but I also understand why a vast majority of the market isn't doing it. [16:20] I think that client‑led change is under‑appreciated in the dynamics of the industry. I think the vast majority of clients are as stuck in the old model as their law firms. [16:35] Not only that, are just as resistant to change as their law firms. Yet, they have a lot more power to drive change. Peter: [16:43] I think that makes a lot of sense and when we read through the guidebook we think, "What an excellent resource for clients as well as law firms." I think that you've done the community a service by producing this. Natalie: [16:54] We hope you are enjoying the podcast. We want to take one minute to tell you about a new segment that we're adding to the end of each episode. It's called, "I Am Building New Law," and it gives you the opportunity to share what and how you are changing the practice of law. Peter: [17:13] So if you're building a new law firm, legal tech company, or product we want you to record a message and tell us all about it. Natalie: [17:18] Just go to countertax.ca/iambnl, click on the voicemail button, and tell us what you're building and why. Peter: [17:26] Now, back to the show. Peter: [17:29] I know that you have some other projects that you help in some of these areas. Can you tell us a bit about what other projects you have that you're working on that will help bridge the gap between law firms and clients and hopefully lead to an increase in value for all parties? Casey: [17:49] I do consulting on both sides. I consult with law firms on process improvement and client engagement, and I consult with law departments on process improvement and law firm engagement. [18:02] Beyond that, one of the many areas covered in the book is technology training. Just because you buy technology doesn't mean you use it. Just because you use it doesn't mean you use it well. We have vast graveyards of expensive legal technology that has never, ever been used in any way that has proved useful for the firms or the clients. [18:23] When I was in‑house, I wanted to have a conversation about this and other things and wanted data‑driven dialogue but I didn't have data on tech competence. The closest proxy I could find ‑‑ attendance and firm‑mandated training ‑‑ I knew was absolutely useless. So, I created a competence‑based assessment using Word, Excel, and PDF as proxies for general technology training since those are ubiquitous. [18:53] I subsequently automated the assessment and added training around it, because one of the great things about a competence‑based assessment is it turns into competence‑based education. You can identify what people know and you can identify what they don't know. [19:08] Then you can teach them what they don't know and validate that the training was effective, because the point of training is not to get people to sit in a room for a long period of time. It's not an endurance test. It's to make sure they have the skills they need. [19:22] The flipside of that is they don't know what they don't know. Most of us labor under delusions of adequacy, especially when it comes to our technology, and so we don't even know that we should be asking questions, let alone what questions to ask. You need to puncture those delusions of adequacy before you can get people in the right mental state for training. Natalie: [19:42] How's the reception been like? Are law firms passing the test or are they failing? Casey: [19:47] Individual people, and I'll just use Word as an example, about five percent pass on the first try. The median score, though, is 50 percent. [19:56] You can frame that one of two ways. You can say, "Oh, people are failing," or you can say, "People are testing out of training." I tend to use the second framing. [20:07] Then people go through the training and then they pass with flying colors. They report to us that, number one, it was completely worthwhile, and two, they have learned something that they use every single day. Natalie: [20:19] Are you able to build a database of all the scores from everybody who's taken the test? Casey: [20:25] Absolutely. It's not only that I know how well people are doing overall, I know what tasks they struggle on. Natalie: [20:31] Are you seeing a distinction between lawyers and non‑lawyers? Casey: [20:37] Overall, the answer is, "No." If you then separate allied professionals, if you separate out technology trainers and the word processing folks and just do the admins, the admins are the lowest‑scoring group we have. [20:55] The only group that even comes close to them in terms of scores is law students. Natalie: [21:00] You mentioned it was done by a sort of a task basis. What's been the most surprising task that people are struggling with? Casey: [21:06] At this point, it's hard for me to be surprised. Casey: [21:13] Probably the most frustrating thing is how few people can use Word styles. Styles are the foundation of any complex document, which is precisely what lawyers put together and work in. That leads to all kinds of other problems, like their inability to use automated cross‑references, etc. [21:36] On a personal note, ever since I moved in‑house I have spent more time in Excel than I have in Word. Excel is the lifeblood of the corporate world. It is the most important software application of all time, but for most lawyers, it is an unused green icon that clutters up their desktop. [21:55] Excel is how you think about data. It's how you manipulate data. It's how you look at data. The fact that people have virtually zero experience with Excel suggests that there's such a distance between the actual business and how business is done and the lawyers. That concerns me. [22:14] Now look, as in‑house counsel I didn't demand that all my external lawyers were Excel experts. I wanted them to have a couple of identified experts on their team and a workflow designed to send spreadsheet intensive work their way. [22:31] So, "OK, we're going to send you spreadsheets." If you're going to be billing hours for doing anything other than simply looking at something, if you're going to be manipulating it in any way, shape, or form you need to pass this because you may think you know but you don't. Natalie: [22:45] You don't want people charging time for essentially training in Excel, right? Casey: [22:51] Oh, it's worse than that. I have two favorite stories from Excel. One is of a partner who considered a job so important that no one else could do it because he didn't think they would pay attention. He had to identify transactions that were below a particular dollar threshold between two parties between two dates. [23:13] He printed out 600 pages of spreadsheets and went through it with a highlighter, looking for things that met those parameters. Casey: [23:23] It's painful and you're laughing because you know enough about Excel to know that you can filter for that in about five seconds, instead of hours upon hours with hundreds of opportunities for human error. Then everyone scoffs at that and say, "Oh, he should have delegated it to someone who knew what they were doing." Peter: [23:42] It's a disaster. Even the delegation argument doesn't fly because if you don't know what's possible then you don't even know how to delegate it. Casey: [23:49] Exactly, and these people didn't know they were doing it the wrong way. This wasn't intentional. They just didn't know what they didn't know. [23:57] It's not just about speed and cost. It's the quality of the work, because there are thousands of opportunities for human error. [24:06] Third, it's quality of life. That is horrible, horrible work to do. Peter: [24:11] Yeah, that's what I was thinking. I had this idea of this six‑year‑old partner sitting there with these sheets and a highlighter thinking, "My God, do I hate my job and do I hate practicing law. If that's what this is." [24:24] You get that all over the place. I can't tell you how many, contract after contract that doesn't have automated cross‑references. They were typed in, and I find errors in them all the time because no one thought to change them when the contract was updated, or if they changed them they missed one. [24:41] That's one of those things where you can spend anywhere from 20 minutes to four hours updating an agreement after you've done the substantive legal work. That is mind‑numbing busy work that a few seconds could wipe away if you had any idea how you'd use the standard tools of your trade. [25:02] But most people have no clue that that's even available to them. They don't know what they don't know. Natalie: [25:08] It ties back to a question I had earlier, actually. Which is, you were talking about a client who could compare how one law firm, perhaps, is dealing with cross‑references and things like that and how they're improving their process. Then go to the firm they're using in a different area and say, "Look. Firm A is doing this. Why don't you incorporate that?" [25:26] Law firms are always secretive and traditionally not that interested in learning how to do better. Have you gone to another law firm and said, "Well, this guy's implemented this process. I think you should do it, too"? Casey: [25:39] Absolutely. As a third‑party consultant they don't want to hear that. When I was a member of a law firm, they certainly don't want to hear it. But when you're a large client, when you say, "Jump," they're in the air before they ask about the altitude parameter. [25:55] Look, they'll try and slow‑play you. I've found this in my own business. Firms are masterful at out‑waiting their client's interest with the hope ‑‑ and sometimes this hope is realized ‑‑ that their client's going to lose interest. [26:09] They don't always do what clients ask them to do just because clients ask them to do it. That's why I talk about sustained attention. It doesn't have to be constant, but it has to be sustained. Natalie: [26:20] When I go through the questions that you're asking they're very, very probing. So, a law firm will be giving away a lot of details about their processes, their process maps, all of that kind of thing. Would you expect to see reluctance to give away that kind of information? Casey: [26:34] The knowledge isn't the hard part. The execution is. There's some great quote that I'm going to butcher, "Don't worry about anyone stealing your good ideas. If they're really good ideas you're going to have to force it down their throats." [26:48] Some people ask me that about the book, and it was really...I'm not that concerned. First of all, I want to spread these ideas. If other consultants pick them up, fantastic. It's going to accelerate the trend. [27:02] And two, good luck on executing. That's where the magic happens, not in the ideas. A lot of these things are obvious. Some of them are simple. Almost none of them are easy. Peter: [27:14] Yeah. In our experience none of them are easy. We do appreciate that you put pen to paper and did a lot of hard work to get this out there. [27:20] I do think, for the minority that pick this up and act on it, either law firms or clients, I think you've given them a wonderful starting point. I'm sure that there'll be some that will execute on them. [27:33] But I hear your point in terms of it's going to take a lot more than just the guidebook to actually bring this to fruition in these law firms. [27:44] It's going to take some kind of driving force and it helps if there's external support from clients but whether or not there is there has to be internal champions. You can go back to your John Kotter and "My Iceberg is Melting," and, "How does change happen?" [28:00] 50 percent of change efforts fail because of lack of urgency, and so there has to be an urgency driver. There has to be champions. There has to be a lot of factors. [28:10] To me, the knowledge is just the beginning. Peter: [28:12] Yeah, and based on our experience you not only need internal champions you need teams. You need groups of people inside these organizations actually working and building these things which does take a level of determination and a level of urgency that we don't see too often but hopefully we see more of. [28:30] So, in terms of the law firm landscape, a lot of different types of firms listen to this podcast ‑‑ small, medium, and large. In terms of starting points for people ‑‑ assuming that they've read the guidebook and they see this as valuable ideas and want to start ‑‑ do you have any small‑action items that you would recommend for each of these different sized structures? Casey: [28:51] One of the important points is that it's actually not going to be that different because the change unit is going to look pretty similar at almost all of them. Now, small and solo is going to be slightly different than medium and large size, but even in the largest firms the original test group is only going to be a half‑dozen or a dozen people. [29:13] I've advised firms from 20 to 2,000 and in that sense it hasn't been that much different, other than the internal politics of scaling. That makes a huge difference. If we're going to try and do this at scale, the 2,000 lawyer operation has a lot of different conversations. [29:34] But my big thing is just try something. You do not need a comprehensive plan. You are going to learn more from starting to actually do the work than you are from having 95 committee meetings about it. [29:49] Also, appreciate what marginal gains can do for you. You don't need to solve everything. Small improvements accumulate and can make a big difference over time. So it's more about an overall commitment to continuous improvement than any particular improvement in isolation. [30:12] Then, finally, and this one's a big one for me. Don't think that you can solve your problem by buying technology. There are no easy buttons. None. Zero. [30:23] There are plenty of vendors who are trying to sell them. They do not exist. [30:26] For every dollar you spend on technology you probably need to spend $10 on process redesign and training. If you're not going to make the complimentary investment don't make the initial investment. Peter: [30:37] That's great advice. [30:38] We're going to wrap up. Is there anything that we missed? Casey: [30:42] No. If you go to procertas.com, I have an In The News section that has all of my writings. I have bloviated on a lot of topics that weren't covered in this podcast. [30:55] If for whatever reason you have some interest in what it is I think, start there, and if you don't find it, email me. I share my opinions unsolicited, so I'm more than happy to share solicited opinions. Peter: [31:08] Yeah, and just one warning for anybody that goes down that track, because I did and went down the "Casey rabbit hole" for three hours one night in our office. There is a lot there, not just in quantity but value. So I would encourage anybody who is interested in this to go because there's a lot to dig deep on. [31:25] I didn't think of emailing you, but thanks for the idea. [laughs] Thank you very much for your time today. Peter: [31:31] I think that was a great interview with Casey and he has a lot of insights. As we talked about during the podcast, providing that practical guide provides a framework to drive those better conversations. I found it interesting that Casey thinks that, right now, clients aren't really asking law firms to change in systemic ways, and instead, they're just asking for deeper discounts. Do you think that's consistent with what we're seeing? Natalie: [32:02] I think maybe what we see is a little bit different to what Casey's seeing in sort of Big Law clients and the relationship there. Because obviously, it's much more of an ongoing relationship in the Big Law world, whereas when we are working with a client with a tax problem, we hope that they'll never have another tax problem ever again. [32:19] In terms of negotiating those deep discounts, I think that happens more in his world than perhaps in ours. But yes, I do think that even the clients we're interacting with have been focused on rates and things like that, rather than how is this work being produced. Peter: [32:33] What do you think about that the incentive for law firm change isn't there? Unless clients are going to give you more work, and unless they're going to provide those incentives, then there really isn't any impetus for the law firm to go back and make some of the changes that Casey believes is going to drive better work through these firms. Natalie: [32:51] I guess I had a mixed reaction to that because my gut says people should be changing to do things better no matter what, but I do hear what he's saying in terms of money and return on investment and things like that. So from a practical approach, I hear what he's saying in terms of that investment. [33:09] I don't think it's only more work necessarily that could be the driving force behind that. You're still looking at reputation and referrals, that branding sort of aspect to it. I wouldn't say it's focused solely on, "Will the client give me more work?" but I do hear what he's saying from a financial perspective. Peter: [33:26] Yeah, like what he's saying is, it's almost illogical to have change without a client demanding it. Natalie: [33:31] I don't know if I can get behind that, [laughs] I think. You should change because it's a better way to do it. I guess in my ideal world, yes, you should change because it's better, but we've had situations where clients have turned around and not really cared one way or another about what we're producing. Peter: [33:47] Yeah, I had an experience recently in which we had a very sophisticated client ‑‑ somebody who we thought would be very interested in the type of improvements that we have made ‑‑ and that client was more focused on price as opposed to the other processes that we think are more valuable. [34:04] That speaks to Casey's piece, which is if the clients don't know or understand what's possible or the importance of it, then their only lever, or how they're going to drive the conversation, is going to be based on cost. So there's an education piece there as well. Natalie: [34:18] Well, I think Casey's resounding message is, "You don't know what you don't know." I love the idea that the guidebook and the proficiency test give you that opportunity to say, "Oh right, I didn't know that." [34:31] You know, I see a lot of clients who come here and they're just like, "Fix my problem. I don't really care how you do it." [34:36] But I think if they understood how, I guess, the making of the sausage really impacts them. Not just the cost side of it, but the quality side of it, even things as simple as like whether the people here are happy working on that file. Are they doing mind‑numbing, boring, repetitive work, or are they doing something more engaging? All of that goes into the value that's delivered in a client file, I think. Peter: [34:59] Right, but we know that, and if somebody comes to us with the right understanding then they'll immediately get that. But if that client doesn't come with that education, and the law firm has gone through the process of building those systems, it's a mammoth education piece. [35:13] The question is, if clients who are not predisposed, interested in hearing that education piece ‑‑ if they don't have that level of sophistication to understand where they can drive value, or how that drives value to them ‑‑ then how is it in the law firm's interest to sit there and go through with the client, "Look, this is what we've done, and this is what's in your best interest, and this is why," as opposed to just say, shrug. [35:34] Why go through the pain of building all of these processes of building what you hope to be a better law firm, and then have to sell somebody on the idea of why this is better for them? If anything, that education piece creates more friction in the relationship and then you really have to wonder, well, what's the value in that for the law firm? Natalie: [35:52] Something inside of me says you have to run some numbers. Peter: [35:54] Then do what? Present it to a client and say, "Look..."
Natalie: [35:56] No. I don't know if I agree that the law firm needs to spend time and money educating the client. If we can educate the client, that's great. Casey's absolutely right in terms of that's the easiest route to get pressure on law firms to change, but what I see is if you just say, "Well, I'm not going to change because the client doesn't care." Peter: [36:16] If the market isn't demanding what Casey is prescribing, then why do it? Natalie: [36:22] I guess it depends how much you believe in what some people have been saying about the future of law and where it will go and things like that. If you believe that the client will continue not to care and not to respond, then you can continue acting in the same way. Peter: [36:36] Even if you believe that is going to happen in the future, the question is what's the impetus for changing now? The argument is if you change too early, two things happen. You've expended time and resources earlier, and you've done it in a market in which the client doesn't care. Natalie: [36:51] But that's just preparation for what you believe is coming. Peter: [36:54] I guess, but between this point and that point ‑‑ assuming you're still running on a billable‑hour model ‑‑ all you've done is taken away revenue and profit from the firm, without delivering your client any value that he or she is asking for. Natalie: [37:05] I think you just did it sooner. Yes, there's a time, value, money issue there, but you know, it's like saying, "I'm not going to go on a diet until I reach 200 pounds, or something." You're going to go on a diet whether you do it now, or whether you do it then, so. Peter: [37:17] I'm not going on a diet anyway. Peter: [37:20] Yeah, and then, I guess this ties into what we were talking about with Jordan Furlong, which is the idea that clients are now, and Casey believes that it will start to be driving change in the service providers. So Casey gave us a lot to think about. Natalie: [37:34] Yeah, and I think what Casey was teasing out is that knowledge and finding out what you don't know is just the beginning, and it's the implementation that is important and that's what's really critical in making things change and making things move. [37:46] If you're a client, go get Casey's guide, go read it, so that you know what questions you should be asking your law firm. And if you're coming at it from any position in a law firm, look at the guide, and it gives you such great starting points to go and build a better firm. 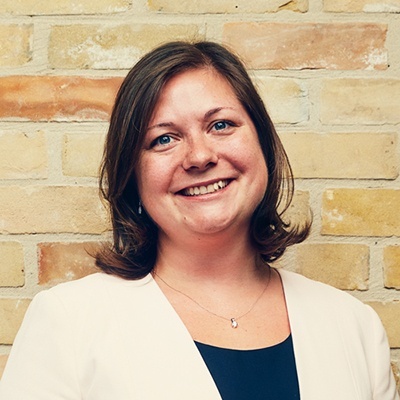 Natalie: [38:01] For this episode's show notes and transcript and how to satisfy your Law Society's CPD requirements, please visit our website at buildingnewlaw.ca. We'd love to hear from you, and if you have any feedback, feel free to send an email to info@buildingnewlaw.ca, or come and find us on Twitter @BuildingNewLaw. [38:25] Don't forget to subscribe on iTunes, our website, or wherever else you get your podcasts. Lawyers that have completed the S02E08 BNL CPD cam claim a 35 minutes Professionalism CPD credit. To access the S02E08 verification examination click this link.